Survival mode was one of the most popular addition to the original Division, but we haven’t yet heard word on whether or not it will return in The Division 2. One hint in the sequel seems to suggest a return to the original game’s New York City, and it has many players thinking that the final stop on the Year 1 roadmap will be a fresh survival mode. Around the map, you might find a certain sign that says “NYC: After Dark – a return to the Big Apple – January.” Reddit posts show that sign sometimes in buildings, sometimes on billboards, and sometimes strewn around the streets, but the image above comes courtesy of fryingpandroud on Twitter – and in that same thread, game director Julian Gerighty pops in to offer some thanks for a bunch of feedback on how to make the mode better. 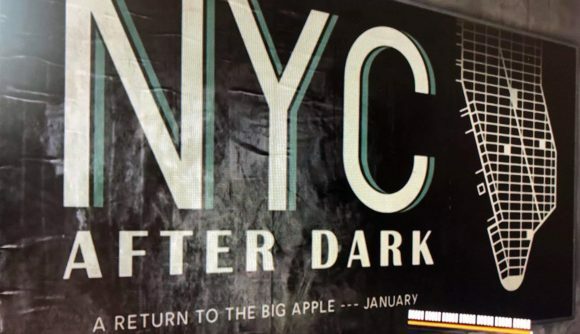 ‘NYC: After Dark’ would follow the naming convention of the other two content updates – D.C. Outskirts: Expeditions and Pentagon: The Last Castle – and the third big content update doesn’t yet have a proper title. It would likely come out in the winter, potentially right in time with that ‘January’ date noted on the poster. This is all speculation for now, but the hints are compelling, and NYC would be a perfect fit for the wintry survival mode – and not just because the city served as the setting once before. The Tidal Basin and World Tier 5 release date is hitting in the much more immediate future to bring a stack of new endgame content. We’ll be waiting some time to find out whether or not survival is truly in the cards.